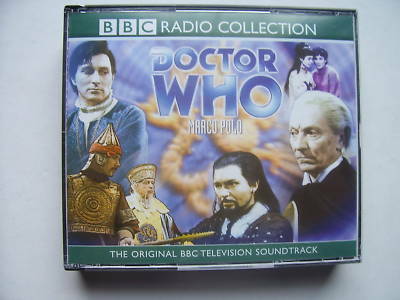 The First Doctor William Hartnell joins the Legendary Venetian Explorer in this ''lost'' BBC TV adventure. When the TARDIS breaks down on the Roof of the World, Central Asia in 1289, its occupants are met by the explorer Marco Polo. His mammoth undertaking is to cross the desert to Peking, and before long he has set his mind on presenting the TARDIS to the emperor Kublai Khan as a gift on his arrival. Unless they can persuade Polo otherwise, the Doctor and his companions will lose their only means to escape the moment in history.